After a person has accepted Islam as their religion they will come to realise that Islam is more than just a religion – it is way of life. Worship is not reserved for special days or special ceremonies; it is a part of our living and our dying, our working and our play, our rest and our study. In short Islam is something that we live with all our actions, thoughts and deeds. Developing good habits to assist us in our everyday lives as a worshipper of the One God is easy. Below you will find a few guidelines to get you started. They are habits that should InshaAllah become as familiar as breathing. 3.Try to learn some words of remembrance. These can be said at any time of the day or night. If you feel you do not know enough of the prayer ritual but want to spend longer connected to Allah then they can even be repeated at the end of your prayer. Learn to say:SubhanAllah, Alhamdulillah and Allahu Akbar. When to make this dua? How to make your dua the most effective? Many sincere believers today are oppressed by their enemies who threaten them with terror, jinns, sorceries etc. This dua is very powerful when you cannot cope with your ennemies and they have decided to make your life impossible…Remember that Allah always listens to the pleas of the oppressed and we should never lose patience in making dua. Allah will never let down an oppressed person, so persevere with patience and constant supplication with hope and certainty until Allah releases you from your torment and give you victory upon your ennemies. Yaa Allah, defeat your enemies, defeat them all, All our enemies and yours! Yaa Allah! Cripple their limbs and blind their sight, mute them, and send upon them epidemics and calamities and don’t cure them no more if they persist in their crimes and refuse to submit upon You, Yaa Allah. Allahumma Ameen. Yaa Allah! Disperse their gatherings and shatter their unity and their leaders & troops labors; Make their condition severe amongst themselves, and make their plots turn against them – show the worlds the signs of your Power, and make their destruction a lesson for those who do not learn lessons. Allahumma Ameen. Yaa Allah! Hasten their destruction, and make their wealth a bounty for the Muslims Allahumma Ameen. Yaa Allah! Aid our Mujahideen brothers in Palestine, Lebanon, Egypt, India, Pakistan, Philippine, Burma and Indonesia, and every where Allahumma Ameen. Guide them towards what is right. Teach them the right way to attack the enemies. Give them full support and create unity among them always. And disperse the kaafirun. Put hatred in their hearts among themselves so that they become weaker and weaker each day. O Allah, you are are Lord, so listen to our supplications and do not frustrate us by delaying our demands. Do not abandon us at the hands of the kaafir, the unjust and the oppressors. Do not allow others to have the upper hand upon us. O Allah, you are the Generous, the Merciful, the Wise, help us to stand straight in all circumstances. Free us from the slavery of our own minds and do not leave us alone with our own selves but accompany us each moment of our lives so that we may feel peace of heart and mind. Yaa Allah, you are the most powerful, the Almighty. Defend us against the attacks of the devils and the taghout. O Allah, save our ummah from the treachery of the dajjal’s plan. O Allah smooth our way and give us solace and tranquility so that we may have enough time to pursue in loving You more, in strengthening our acts of worship. Yaa Allah! Unify the ranks of the mujahideens, and gather them on the word of truth Allahumma Ameen. Yaa Allah! Make accurate the aim of their weapons; strengthen their determination and make them steadfast, and bestow upon them tranquillity Allahumma Ameen. Yaa Allah, put their hearts at peace and guide them to that which is all-good Allahumma Ameen. Yaa Allah! Give them authority in Your Glorified Name, and give glory to them with your infinite armies in the heavens and the earth Allahumma Ameen. Allahumma Ameen. Allahumma Ameen Allahumma Ameen. REMEMBER: Allah does not need any permission to do or undo a situation. Be firm upon your dua and hope, hope and hope until Allah sends down His Mercy upon you. Do you care if i say: Ramadan is coming soon? 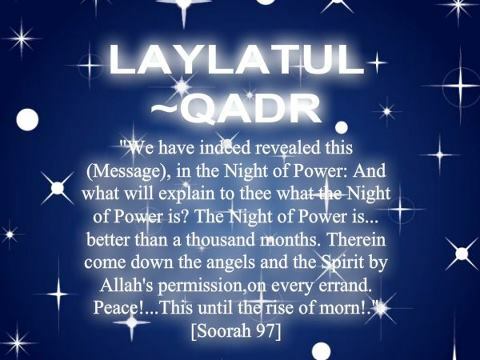 Do you pay heed about the good news: Ramadan is coming soon? Many people just take Ramadan as a news: Ramadan is coming but their hearts remain heedless…. And when we ask them: what do you have to prepare? Ramadan has become a kind of : let’s party tonight…! We are human beings. We have been given reasoning so let us reason according to the Quran and hadith…. Now you know, brothers and sisters. Surely you have read, surely you know…. grace I’m on His team. Friend, may I say so. He gathers me into His arms, He soothes my heart and soul. Should we care for our muslims brothers and sisters? Today, it has become a fact that many muslims only care for their own families. They live a life which has nothing to do with the prophet’s sayings. They believe that their families are only their father, mother, sisters and brothers. This is why they tend to neglect other muslims’ sufferings. to disunite us and to sow disunion among our fellow brothers and sisters. Our family is the large muslim community who resides in several parts of the world. We are all sisters and brothers in islam. It is our duty to care for our umma if we say we love Allah and His rassoul. Let us start today itself by giving fissabillillah. let us take charge of one family until this family can stand on its own, insha Allah! d) Excessive immorality (doing something wrong without fear). The Holy Prophet (SAW) said, Stop doing everything during the Azaan, even reading the Quran, the person who talks during the Azaan will not be able to say the Kalima or the Shahada on his/her death bed….